We hope you all had a wonderful 4th of July and have been able to stay cool as much as possible in the crazy heat the last week. The vegetables are holding up well in the heat so far. We are spending a lot of time irrigating and making sure everything is getting enough water. Despite the warm weather we are still weeks away from the first tomato. The Zucchini have started producing which is exciting because that means...cucumbers will be next! Hilariously, I didn’t take any broccoli to market this Saturday because I wanted to make sure we have ‘enough’ for CSA this week. And, when I uncovered them Saturday night when I came home from market I was like….oh, look….every single head is ready and it looks like they are 2-3# each! We have been trying to get the online store going for CSA members but it’s been slow to take off; probably because we keep forgetting to ‘activate’ and update the store. 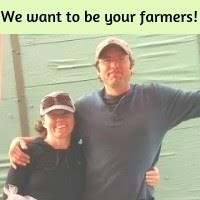 If you are interested in adding Broccoli or Red Cabbage to your share this week text Mandy at 471.9538. CSA member stock up special price this week is Broccoli $2.50/lb and Red Cabbage $1.60/lb. Also if there is anything else you want send Mandy a text by 6 pm on Monday for Tuesday folks and by Wednesday for Th/Fr folks. Wednesday August 16, 6-7:30 p.m. Lower Valley Farm Tour! We would love for you all to be able to come and see how much the farm has grown. We are constantly humbled by the fertility and abundance of the farm. 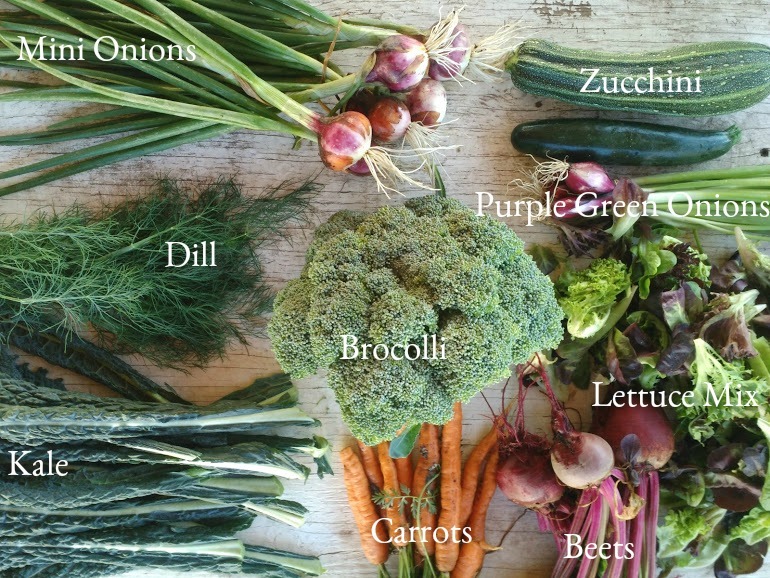 We currently have ONLY two acres of vegetables in production on the farm. When you think about the hundreds of tables the produce fills each week, it is a pretty amazing thing! Come and check it out with a guided tour. This is one of those weeks. When we advertise our CSAs, we often speak about eating seasonally, and following the abundance of the seasons. If we have a long cold spring (as we did this year), we say, CSA might start later and/or be thinner, and then later in the season when there is more abundance, shares might be larger. So… it’s later in the season! It’s a big share this week. Let’s dig in to how you can take best advantage. You’ve had green onions in your share for many weeks now. Growing green onions this year has been among our most successful endeavors. It has been the perfect storm of three factors. First, we planted them in very fertile 3rd year beds. All the crops in this garden set have gone gangbusters. Second, we planted them using our new Paper Pot Transplanter, and so we got a very uniform planting that was perfectly dense. Third, as we mentioned last week, we have a lot more help on the farm this year, and so we have been able to stay on top of weeding. The result of all this has been our most prolific and generally awesome green onions ever. Here’s something everyone on the crew has been doing lately. This idea is courtesy of Jenny Mattern - make yourself some rocking onion powder. Lay out the greens part of your onions on a baking tray. (Use the white bulby part in a salad or something) Set your oven to it’s lowest setting overnight and jam it in a food processor/blender the next day. Levi went home (he lives nearby) last week at lunchtime because he needed to pull his out of the oven. Katie L made a batch, and by then we were pretty much shamed into trying it ourselves. The super beautiful Mini onion is a lovely little sweet onion perfect raw, grilled, sauteed or baked. Use the greens part just like you would your green onions. They’re a little hardier, but are just as good! Add them into your onion powder stash. Perfect! It’s a cruel irony that just when the heat drives us all to grill outside, forest fire season begins and drives us all back in. If the smoke isn’t too thick this week, stay cool inside and grill your veggies. In this week’s share, the beets, mini-onions, broccoli, and summer squash can all be grilled to scrumptious perfection.